Le guide présente les éléments essentiels des plans de gestion des données et les critères de sélection des dépôts, conformes aux principes FAIR. Il fournit aux organisations et aux communautés une base commune à partir de laquelle elles peuvent élaborer des politiques de gestion des données de recherche. Research funding organisations, research organisations, The term research organisations refers to research performing organisations, universities, and research institutes. and individual researchers have different needs and requirements when it comes to research data management (RDM). 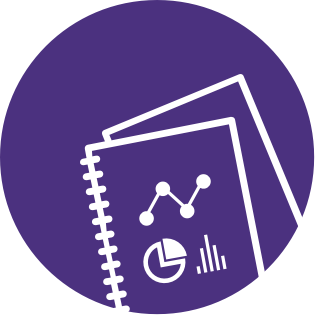 The core requirements for data management plans (DMPs) and criteria for the selection of trustworthy repositories presented in this guide provide organisations and communities with a common basis from which they can develop RDM policies. These should be considered as minimum requirements that can be supplemented with more specific ones according to the needs of the community or organisation in question. Quality-assured research data are key building blocks of the research process. Research data should be permanently, publicly, and freely available for re-use. In recent years, diverse stakeholders from research funders to publishers have endorsed a concise set of principles, known as the FAIR Data Principles, Making data Findable, Accessible, Interoperable, and Re-usable. Please see the annex for further information or visit https://www.force11.org/group/fairgroup/fairprinciples to enhance the re-use of data. The core requirements for DMPs and criteria for the selection of trustworthy repositories presented in this guide are compliant with the FAIR Data Principles, and even go beyond them on aspects such as storage and backup during the project and long-term preservation. For further information on how the FAIR Principles are translated into the core requirements and criteria, please see the Annex. Data management based on these core requirements and criteria will therefore support researchers in ensuring that data are FAIR, where appropriate. There may be legitimate reasons (including project-specific or privacy-related ones) for delayed or restricted access, which call for a balanced approach towards openness to research data. This guide was developed in a way that makes it useful for a large number of organisations and researchers. It focuses on content-related questions and does not refer to any procedural aspects For procedural elements of implementing DMPs: RDA DMP Common Standards WG https://www.rd-alliance.org/groups/dmp-common-standards-wg of using DMPs and selecting a repository, as those may differ significantly among organisations. Core Requirements for Data Management Plans: six aspects that every DMP should cover, with detailed guiding questions. Criteria for the Selection of Trustworthy Repositories: four topics detailing criteria that every trusted repository should meet. 1. ↑ The term research organisations refers to research performing organisations, universities, and research institutes. 3. ↑ For further information on how the FAIR Principles are translated into the core requirements and criteria, please see the Annex.